Scholars from Poland and from many other countries participate in the conference. Indeed, the Faculty hosted researchers and academic teachers from Albania, Czech Republic, Finland, Hungary, Italy, Kazakhstan, Latvia, Lithuania, Romania, Russia, Turkey, Ukraine and USA. 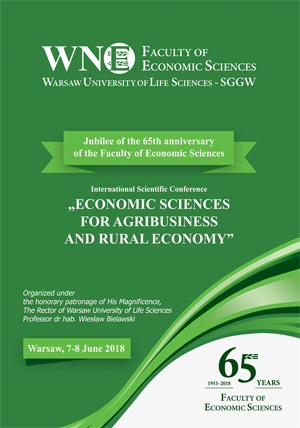 The first day of the conference started with the Jubilee session including a speech of the current Dean of the faculty, prof. Jarosław Gołębiewski, a speech of prof. Marian Binek, Vice-Rector for Research and Deputy Rector, and a presentation of the research and teaching activities of the faculty. The foreign guests were then invited to introduce themselves. These introduction speeches were followed by the first two-hour plenary session with presentations given in English. The second day was dedicated to the second two-hour plenary session of presentations, followed by an afternoon of thematic presentations and the final closing conference of the ceremony. During the entire conference, the Faculty hosted about 410 participants, including 57 foreign ones from more than 30 academic institutions.